Target: Students who are not satisfied with their Mandarin pronunciation, hoping to further improve their pronunciation in hopes of sounding like a native speaker. Class Content: Class is taught through systematic teaching done by professional teachers. The Chinese language is broken down where consonants, vowels, syllables, tones, and sentence tone pronunciation will be thoroughly practiced in-depth. Goal: To help non-native speakers get rid of their foreign accent in order to sound like a native speaker. Target: Students who study at a university in China or work in a particular profession that wants to work on the Chinese communication that is particular to a certain field. 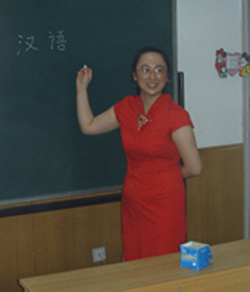 Class Content: Teachers that are familiar with the language of a certain profession will use a lesson plan to help that student correct Chinese pronunciation and heighten vocabulary to be used in that particular field or profession. Goal: To teach, strengthen or improve the communication ability in the field that the student plans or is participating in.